The ST25R3911B-EMVCo reference design implements a complete EMVCo Level 1 software stack and includes all the design files and guidelines needed for a fast and reliable implementation. It also comes with an EMV GUI that acts as a device test application and has been pre-verified for EMVCo L1 compliance (analog and digital) by a third party lab. 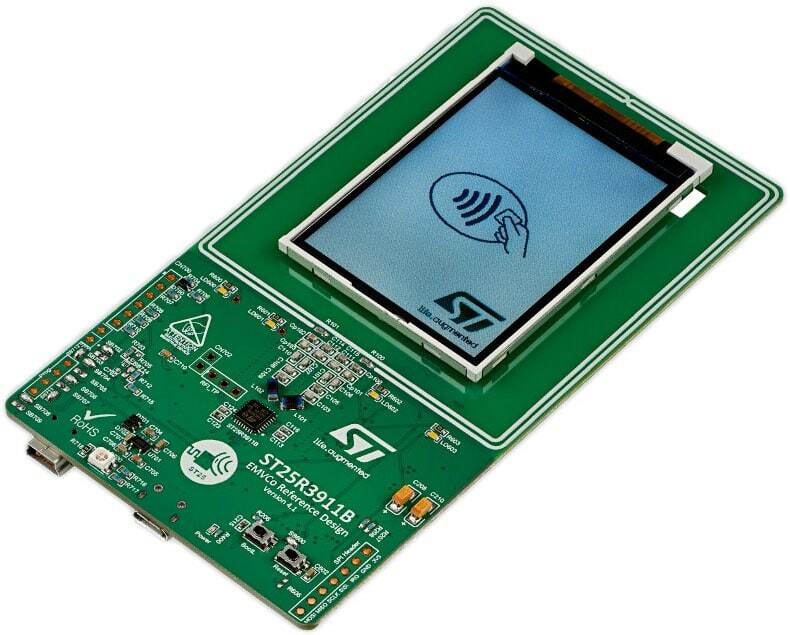 ST has set aside 10 developer kits to give away to qualified NFC World readers — they can be shipped anywhere in the world and you can apply for one at the ST website. You’ll need to create a free ‘My ST’ account if you don’t already have one. You can also find full technical details, documentation and more on the ST website.